Do you wonder how far your passport can take you without a visa? Or do you want to travel outside of the country without the hassle of applying for a visa? Israel offers Filipino tourists visa-free access! Israel and the Philippines maintain an open door policy, and Filipino tourists enjoy traveling to the ‘Holy Land‘ visa-free. This is because of the moral courage manifested by the late president Manuel L. Quezon, who welcomed over 1,300 Jews exiled during World War II . The gesture started the close friendship of Jews and Filipinos, commemorated through the Open Doors Monument in Tel Aviv. Filipino hospitality at a time when the Jewish people needed it most earned the gratitude of Israel, which is now giving back by welcoming Filipino pilgrims, tourists, and even skilled workers to Israel. 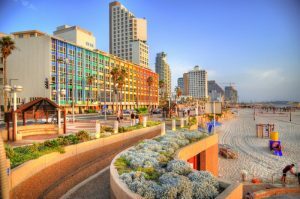 Tel Aviv beach with some of its famous hotels facing the Mediterranean sea. 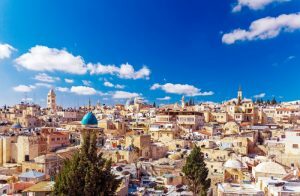 Visas are required, however, for people who intend to work or study in Israel. Meanwhile, Israelis can also visit the Philippines visa-free for up to 59 days. Visas are also required when working or studying in the Philippines. Despite its small size, Israel is now one of the richest countries that do not require Filipinos to obtain a visa prior to travel. So if you want to go on a pilgrimage or experience the Dead Sea, having a passport is enough. Israel and the Philippines established full diplomatic relationships in 1957 and signed a treaty of friendship in 1958. The Philippines established an embassy in Tel Aviv and Israel opened an embassy in Manila in 1962. To plan your travel to Israel, contact our travel agency members for assistance.